As a kid, I always thought homework was yet another way for the teachers and the entire school system for punishing us students. Even as a parent now, I still do not like the concept of homework, and think it to be a way for the teachers to shirk their responsibility and transfer the burden of teaching to us parents. However, a closer look at the concept of homework made me realize that the entire framework of the concept of homework has been developed to help both the students and the parents. While the students get to revise everything that they have learned in school and thereby get a better understanding of their concepts, parents are able to actively participate in the education of their children. Research has proven that children, whose parents take an active interest in their studies tend to perform better in school and in life. Therefore, it becomes necessary to stop considering homework to be an enemy and find ways and means of making it fun for both students as well as their parents. 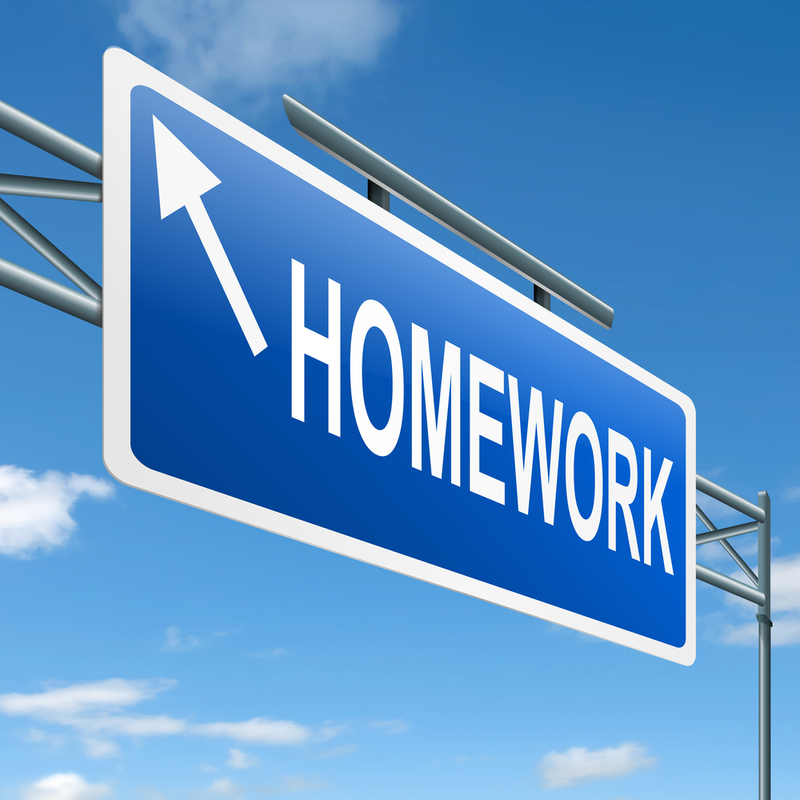 Below are a few tips that can help make completing homework quicker, easier and more fun. Fix Your Daily Schedule –A fixed schedule would ensure that your mind does not get distracted by the desire to play or watch television. When the time for playing and entertainment is pre-allocated, these thoughts would not trouble you during the course of studies. Put A Homework Completion Plan In Place – In the event, you have homework in multiple subjects, the first thing you need to do is figure out the amount of work that is to be done, make a plan for completing this work and simply follow the plan. Take Help Whenever Required – There is no shame in asking for from your parents. Hence, you find yourself stuck, immediately seek help, get your doubts cleared and move on with the completion of your homework. Just like in school, teachers have to make sure that the students study, similarly, at home, parents need to provide all the help their children might need for completing their homework. Provide a quiet place, where the children are comfortable and can concentrate on their studies. It is important for parents to stay in touch with the teachers, in order to be aware of what is going on in the class and what the child is expected to do. Else they would not be able to provide the right guidance to the children in their homework. Help the kid whenever required, however, give the child enough space to try and complete the homework on their own. Motivate and encourage the children to do better by appreciating their good work. Try to reduce the number of distractions around the children to a minimum, for example, while the child studies, the parents should try to avoid watching TV, etc. If the parents are not able to solve the problems of their children, they should hire tutors to help out their children in their studies. It is important for the parents to check the completed homework of their kids. Arrange for comfortable desk and chair for the child to sit on and do his homework. This has a direct effect on a child’s productivity. Gauge the mood of your child, and in case they get frustrated, give them the space to breathe by setting aside the homework for a little while. If the child is having any problem with respect to homework, communicate the same to the concerned teachers and find a solution for the same. Be creative in your teaching methods in order to make homework interesting and fun. Consistency is the key. Make sure that the schedule made for homework adheres to every day. Thinking about getting extra help with homework, connect with Tutor Pace online tutors to improve grades.